Prevent leaks due to vibration in your hydraulic and pneumatic systems. 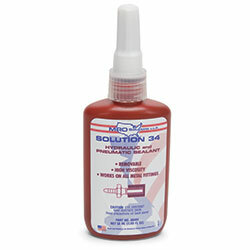 This sealant is compatible with gases, hydraulic fluids, oils and solvents. Works on all metal fittings.